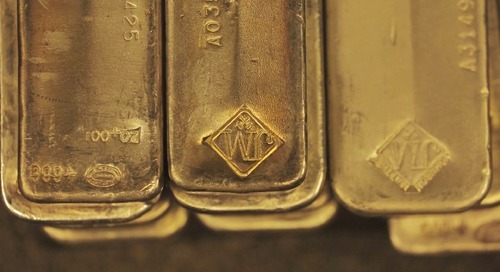 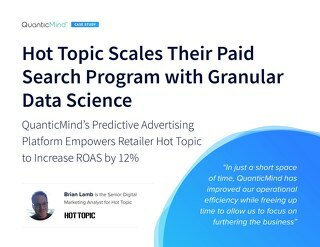 See how a leading specialty retailer used QuanticMind’s combination of data science and machine learning to 2X its SEM profits. 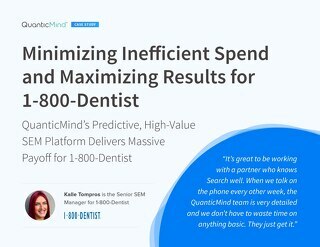 Learn how advertiser 1-800-Dentist was able to meet efficiency goals and maximize profits using QuanticMind. 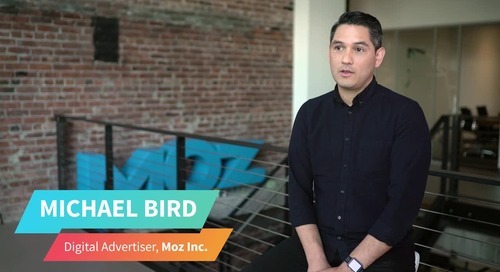 Retail paid search is a challenging market, but leading retail marketers are making huge strides with predictive advertising technology. 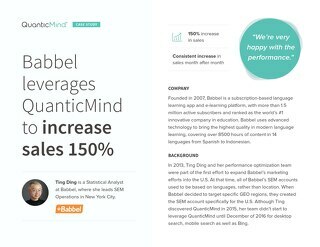 Learn how e-learning advertiser Babbel used deep funnel data to increase sales by 150% with QuanticMind's technology. 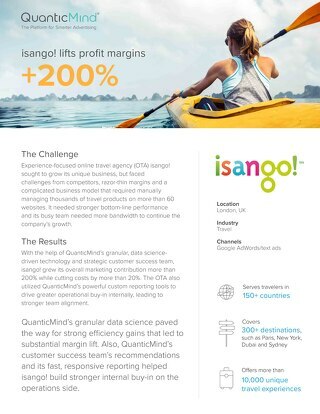 Learn how travel industry expert Isango improved profits using QuanticMind. 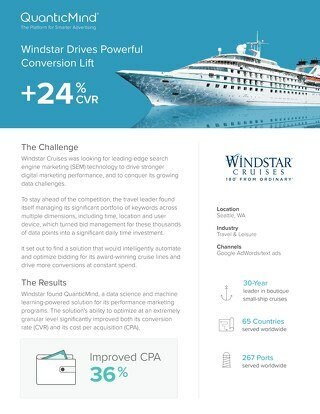 Learn about Windstar Cruises approach to hitting SEM conversion goals by partnering with QuanticMind. 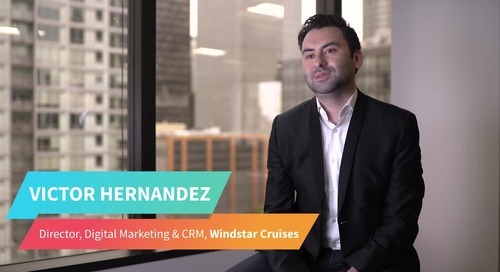 Leisure and Travel Industry solutions with predictive ad tech. 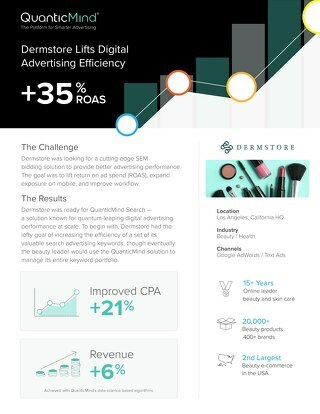 Learn about Dermstore's success increasing their PPC Advertising efficiency with 35 percent ROAS lift. 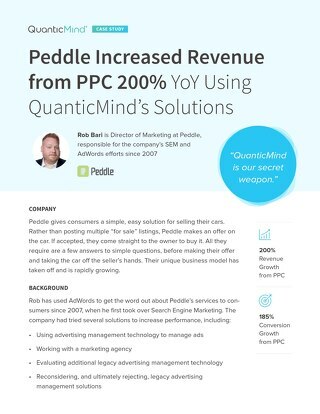 Beauty and Health Industry benefits from QuanticMinds bidding automation algorithms. 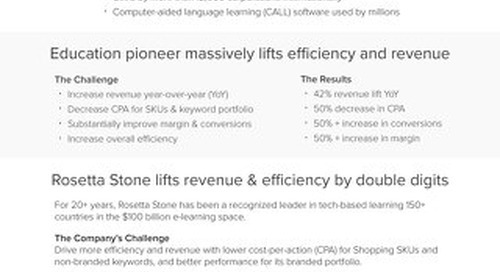 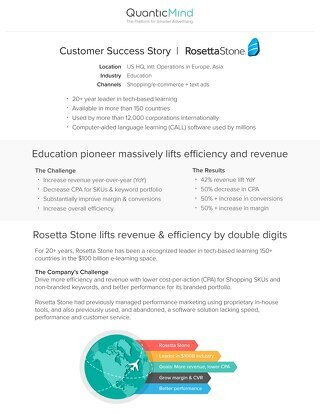 Learn how Rosetta Stone optimized their PPC and Shopping performance through paid search advertising technology solution QuanticMind.